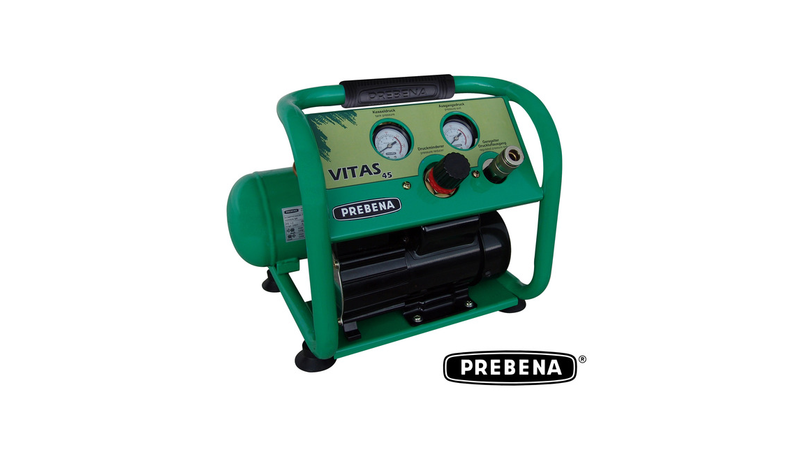 The compact PREBENA piston compressor VITAS 45 with the low weight of only 10 kg and the smart design is ideal for interior construction. No. of revolutions: 2840 RPM.